Copyright © 2000, Jock Bradley and Oregon Kayaking. No part of this page may be reproduced, linked, or copied without the express written permission of Jock Bradley and the Oregon Kayaking webmaster. 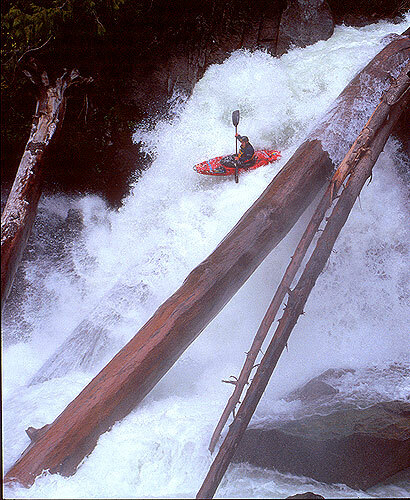 This photo was sent to me by kayaker/photographer Jock Bradley, who is the owner/operator of Rippin productions, a whitewater photography company based in Seattle. Jock is one of the best in the business!